Some Hitachi Cellular Phone Manuals PDF above the page. Hitachi LTD. Company is the parent company for all firms and units of the financial-industrial group Hitachi. The head office of Hitachi is located in the capital of Japan - Tokyo. The company, founded at the beginning of the 20th century and specialized in the first stages of electric motors production, has achieved recognition and, after it, world success, and now occupies the place of one of the world's leading manufacturers both in the field of information technology equipment and among manufacturers of household appliances and appliances. The total annual sales of the company at the moment exceed 10247 billion yen. The company develops and manufactures over 20,000 products, including computers, household appliances, semiconductors, power and industrial equipment, information systems, and the development of new modern materials. Hitachi has a staff of over 380,000 people and operates 934 subsidiaries, more than a quarter of which are abroad. The name "Hitachi" literally means "dawn", reflecting the company's main philosophy - helping people and society with their technology. This philosophy helped Hitachi become one of the largest corporations in the world. Namihei Odaira, founder of Hitachi Ltd., developed the trademark of the company even before its foundation in 1910. He was sure that this trademark would be a reflection of the quality of the goods and that with his help the company would win the confidence of consumers. To create the trademark of Namihay Odaira used two hieroglyphs - "Hi", meaning "sun" and "Tachi", which means "sunrise." Having imposed one character on another and enclosing them in a circle, he chose the resulting symbol. The four ledges on the outer side of the circle symbolize the four sides of the world and the rays of the rising sun. Odaira laid his perception of the world in this sign, seeing in him the silhouette of a man standing in the background of the rising sun and wondering how the future of mankind can be made brighter. The vision of the company is to help make life brighter, and the world around is better. Hitachi creates products, solutions and services of the new generation, using the latest technological achievements. Hitachi pays special attention to scientific research and information technologies. The mission of the company is to determine the needs of society and the company's customers, and then implement them, surpassing the boldest expectations. Hitachi plays a leading role in the development and implementation of new technologies, thanks to its unconventional approaches. 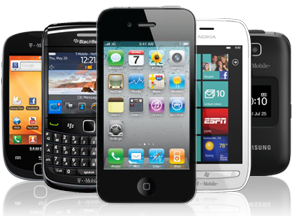 The company's efforts are concentrated in the field of communications and service. The goal of Hitachi is the harmony of environmental safety and economic development. The values of the company are the trust of the society and customers. Hitachi develops a wide range of complex systems, using the latest knowledge and technology to maximize the satisfaction of the needs of its customers and customers. The company's goal is to offer comprehensive system solutions that will serve the consumer and society as a whole for a long time. Hitachi is the catalyst for changing the world around us. The world is changing, and changing it - Hitachi. Founded in 1910, Hitachi promotes the development of society through the development of technology. Over the years, the world around us has changed significantly, but based on the principles of harmony and sincerity, Hitachi has not lost its desire for research and development. Today, global changes are even more dynamic. "Inspire The Next" is Hitachi's declaration that the brand will continue to meet the expectations of its customers and society, this commitment to continue its development, to offer new products, systems and services of the new generation to improve the world around, a commitment to face changes. 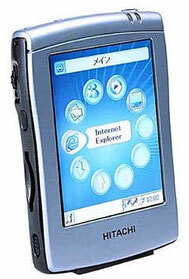 In November 2006, Hitachi announced a new corporate strategy for the joint development of technologies and profits of the company. The basis of the policy is a clear orientation to market trends and an increase in profits. Hitachi's goal is to create a structure that will sustainably generate high returns through key initiatives such as FIV (Future Inspiration Value), the creation of a high-profit business portfolio promoted by group management, and innovation in collaboration with group companies and partners . Systematic strengthening of corporate governance, effective management of a group of companies, equitable distribution of powers - all this will increase the profitability of the corporate group. Focusing on cooperation with partners and group companies, Hitachi diversifies its cooperation with the goal of developing joint innovation projects in various fields. Read - AEG Mobile Phone Manuals PDF.